This BBM app is more than the ordinary BBM app from Blackberry. It has more cool extended features such as Full Display Picture without cropping, Block Read Status that allow you to read message without sending "the R" sign. Or hiding your your conversation and lock the BBM app without any third party application. 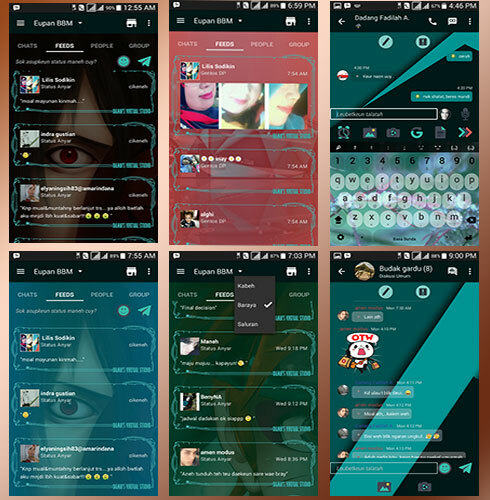 This BBM modified app is BBM Essential. Please note that BBM Essential is not affiliated with, endorsed, sponsored, or otherwise authorized by Blackberry Limited. It's a pure modification from official BBM app, so this app is free to use and not for sale. Multilingual Option (swith language to Indonesia, English, Sunda, Jawa). Developers are pleased to add your own language. If you are using the official bbm application, uninstall it first. And remember check the "Unknown Source" since it's not installing from playstore. In some phones, an error might occurs when switching the language and force close the application. Don't bother, it's not really a problem. This is because app is requesting to restart to apply and set the language. I'm actively maintain this application and listening to your feedback, any suggestions are kindly welcome.